*Note: I’m part of Outdoor Research’s #ORInsightLab, a team of testers who voluntarily share their findings after testing product. The #ORInsightLab testers are not asked to publish positive reviews, and no financial compensation was received for this review. I was asked to record my findings, positive and negative, when testing this jacket. 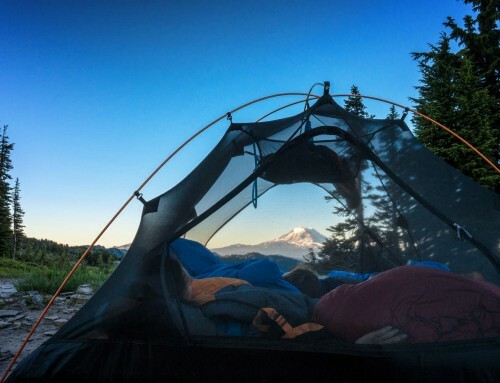 At OWA, the aim is to only publish reviews on gear that, after testing, is found to be beneficial for women outdoors. If gear is received from a company but does not pass testing standards, OWA submits the tester’s feedback directly to the company to assist with improvements. 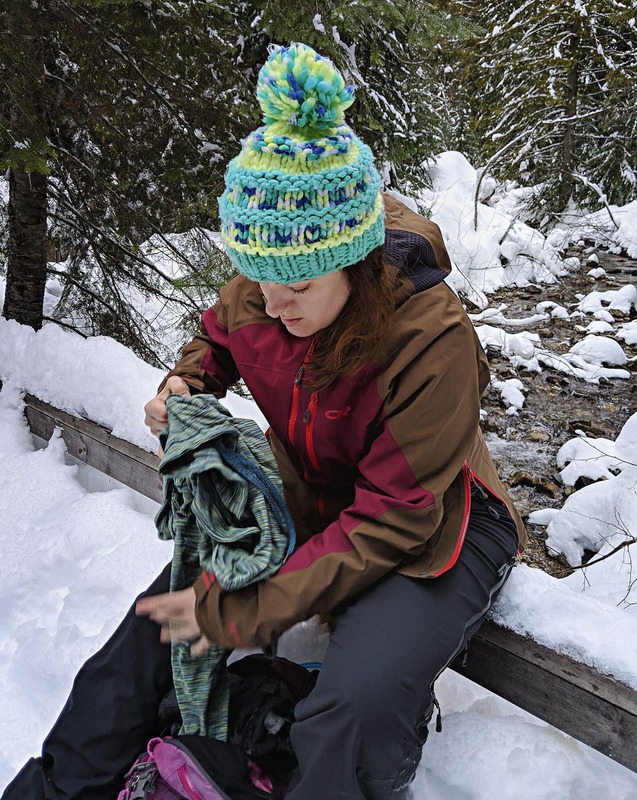 It is OWA’s hope that this process will help improve women’s gear across the industry as well as assist women in finding gear that stands strong in its purpose. I gave up on fitting in a hardshell a long time ago. Though I want the protection a hardshell offers, there’s just not enough give around my hips and backside. 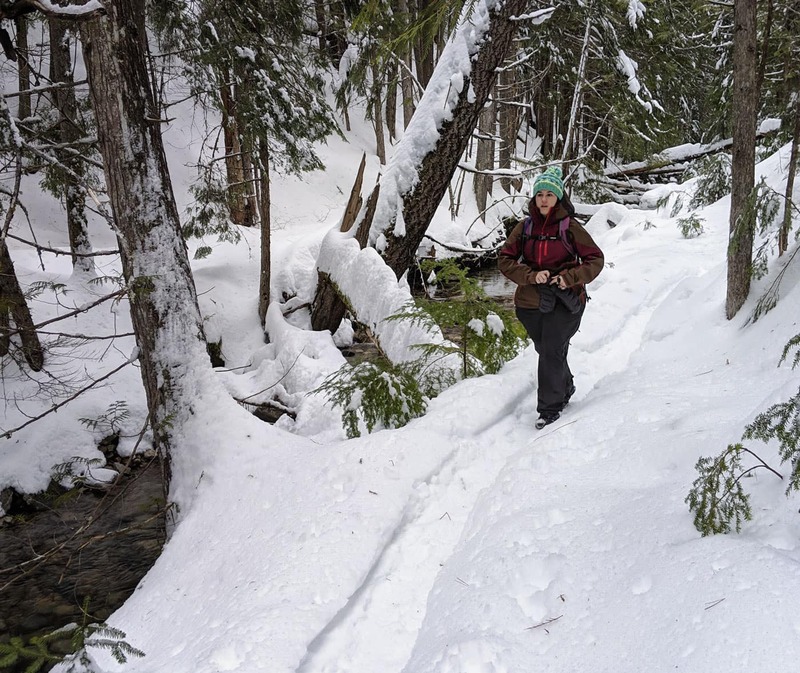 Whether I was on the thin or heavier side of the spectrum, having a waist to hip ratio that defies fitting norms in every possible way meant finding outdoor wear has been an especially difficult struggle for me. If a piece didn’t stretch — if it didn’t sink into my waist and expand for my hips — then I was left with pieces that rode up, or swimming in men’s wear. Either way, performance was affected. That’s why I felt stoked when stretchy “soft shells” became a thing. The fabrics protected you from the elements but were both giving and simultaneously trim. There’s a problem with soft shells, though: they often weigh a good chunk more than a hardshell. Sometimes you just want to go light (well, most times). On top of that, it’s somewhat harder to find soft shells with the technical features you’d expect in higher-level hardshells. 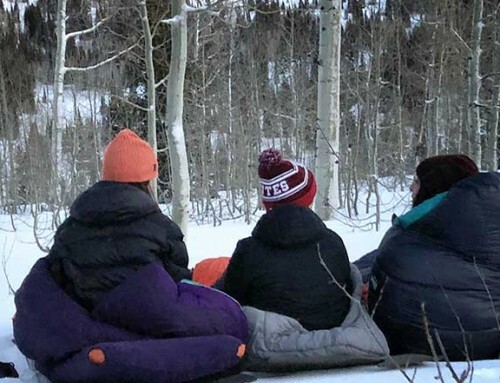 Because of these drawbacks, I’ve been waiting for the day when the outdoor industry would figure out how to work with outdoor women who need the technical features of a hardshell but in way that fit their bodies like a softshell. 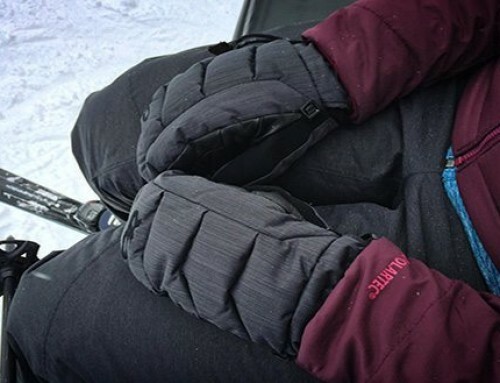 While we’re not quite there with the perfect hardshell-softshell hybrid, the women’s Hemispheres jacket from Outdoor Research is a huge step in the right direction. This lightweight hardshell — which features stretchy GORE-TEX panels — is packed with tech, is trim on the fit, and allows room for hips or a fuller backside (or, if you’re like me, both) via the full, hip-to-pit zippers on each side of the jacket. This is obviously a secondary benefit for this feature, as the full zips are primarily put in place to improve breathability. However, for women like me, we rejoice in having a technical hardshell that can be customized to our bodies. The hood is a beauty. It happily fits over my helmet or a thick beanie and has three points of cinch-adjustment to make way for peripheral vision and weather protection, even when just sporting a ponytail and no headwear. The latter is great for spring days when the sun’s blazing, but winter’s trying to hold on with biting winds. To further customize the fit on the hood, Outdoor Research topped it off with both a moldable brim and a hook on the cinch adjustment at the back of the hood. The latter, which fits into a loop at the nape of the neck, helps lock the hood in a more backward position, preventing the hood from taking up extra aerial vision real estate when you’re going helmetless. The collar is unnoticeable when fully zipped with the hood up. For my face structure, with the hood down and the collar fully zipped, the collar ever-so-slightly pulls back onto my chin. The pressure wasn’t an annoyance enough that I needed to unzip the collar, nor was it constantly on my mind. The hood up with the collar zipped up alleviated that issue — possibly because the weight of the hood wasn’t pulling the collar back. The waist may not sit perfectly against your curves depending on how far up or down you engage the side zips; i.e. adjusting zippers will adjust how trim it stays next to your waist. I’m 5’4″ and wished for half-an-inch more on the hemline of this jacket for more complete coverage. I know Outdoor Research will deliver when it comes to the technical prowess. Aside from that, it was the human comforts packed in this jacket that I was excited about. Namely: Interior pockets, pockets, pockets. Most of my recent jackets haven’t included an interior pocket, let alone three interior pockets. The Hemispheres jacket features one zipped and two open-access as well as a chest pocket with interior headphone slot. In other jackets, a lack of interior pockets has been a noticeable strike. Though it shaves weight, it’s a hassle to find places to store my phone/keys/wallet if I’m going out for a day inbounds and don’t want to carry a backpack, or if I just want to go for a walk while listening to podcasts or my coursework. Not an issue with the Hemispheres jacket. The second, large zippered interior jacket is great for anything I don’t want getting away from me. The open interior pockets I’ve used as temporary stuff sacks for things like glove liners and hats while swapping out layers. I love that the chest pocket keeps playlists/calls handy from the outside while moving the headphone cord inside my jacket so it doesn’t get in the way. And while I don’t use my phone when I’m out in the backcountry, it is a relief to not have to rely on a second, less-technical hardshell to accommodate that need when it’s a more casual day. It’s no surprise that the crowning glory of this jacket is its breathability. With the pit zips, it’s clear the Hemisphere is capable of dumping all moisture and heat buildup as fast as you can work the zips. But even though it’s there, doesn’t necessarily mean you’ll need it. Even with the jacket fully done up, and working at a steady pace, I rarely needed to open up the zips compared to other jackets I’ve owned. When I did, it was great to have the reverse zippers; I could leave my backpack on and unzip a large section of the jacket directly under my arms. We can probably chalk up the breathability — at least in part — to the strategically-placed GORE-TEX stretch panels. These soft panels circle under the arms around to the back before pulling a figure-eight at the neck and terminating at the edges of the hood. This placement gives the jacket lots of key places where that extra moisture can evaporate. 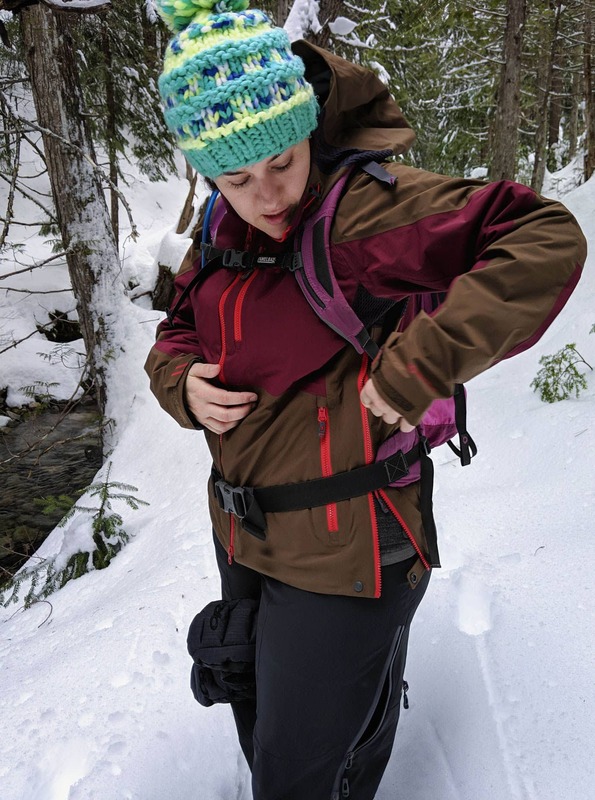 And while I would love to see more stretch in the overall jacket rather than just in the GORE-TEX stretch panels (which are pretty incredible in themselves), the ability to finally have a hardshell that works with my body shape has me doing a happy dance. I no longer have to sacrifice performance for weight. The two zippered exterior hand pockets would be better placed higher so waist belts don’t interfere with zipping/unzipping. Additionally, I’d like to have seen more of that GORE-TEX stretch fabric layered beneath the pit zips on the interior. That would create a secondary barrier when the zips are open. Even though I love that I can unzip to make way for a better fit on my hips and dump heat at the same time, a stretch panel under the fully-open sides would still allow breathability, a wider-range of fit for us hippy girls, as well as protection from the elements. As is, when unzipped, there is no coverage from snow or wind. And while there are fabric tabs on the interior that you can button up to keep the hem of the jacket together while the pit zips are open, they have no stretch (and you’ve still exposed yourself to the elements). The GORE-TEX panels here seem like a no-brainer. It would add weight, but having that protection while keeping the breathability in check is would seal the deal for making this one downright killer jacket. But the lack of that panel doesn’t stop me from recommending this jacket. 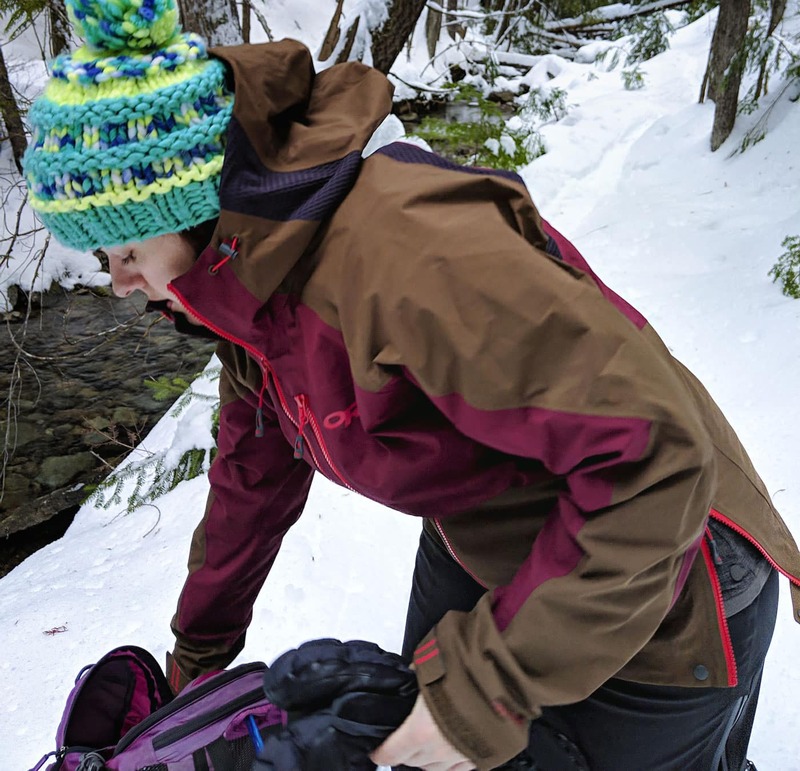 I know how hard it is to find the right fit in technical wear for women of varying shapes; Outdoor Research’s Hemispheres jacket made it easy. 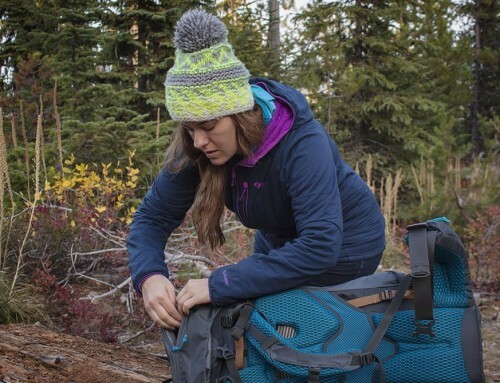 Weight: Even with the extra features, the jacket stays fairly trim, making it easy to stuff in your backpack. For my better half who complains that I take up more than half my share of the coat closet, the Hemispheres jacket is my do-all-the-things outer layer. Big win.